27cm x 125cm (10" x 49") easy to increase, but needs more yarn. 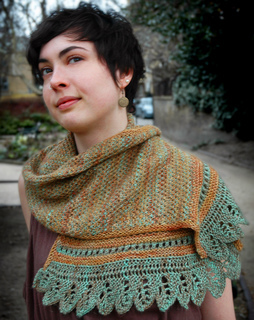 This is a free pattern from the Loop Knit Lounge, the new blog from the Loop knitting shop in London. 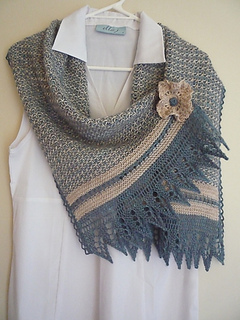 It makes particular use of the wonderful, subtle colour variations of Old Maiden Aunt yarn by using two colours of the yarn together in a simple weave style slip stitch. One skein of each colour is used. A variety of needle sizes are used to give the main stitch its particular appearance. 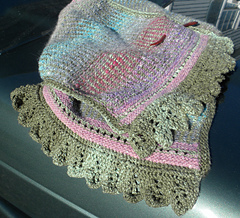 With the two skeins the shawl comes to about 27cm x 125cm. Buy more yarn if you would like it longer or wider. Both written and charted instructions are included as well as a construction diagram.